Marooned In Marin: Liberal Chick Says "George Jefferson" Who Founded America, Would Be Angry About "Voter Suppression"
Liberal Chick Says "George Jefferson" Who Founded America, Would Be Angry About "Voter Suppression"
Warning: I am not responsible for any monitors damaged after having a drink spit out upon them in laughter (BizPac Review). Is she for real? 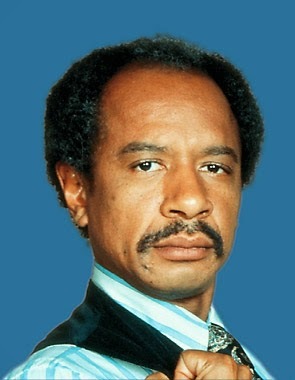 Liberal Chick says our founder, George Jefferson, would not be pleased with the Conservatives’ mid-term win. Does that mean Weezy was the first, First Lady? I just about choked to death because I laughed so hard seeing this, but the sad thing is, where was she when American History was being taught, if it was taught? Even worse, that ding-a-ling Nancy Pelosi agrees with Liberal Chick that voter suppression is why the Democrats lost. No word if San Fran Nan thinks George Jefferson is the founder of America. This is priceless! Lib's heads are exploding, and most of them sound just like this little chippy. None have any idea what Republicans are about, have no evidence to back their allegations; they just swallow propaganda all day long. And apparently miss a few American history classes too! Stick A Fork In Abortion Barbie!